For the Buyer who enjoys the Best. 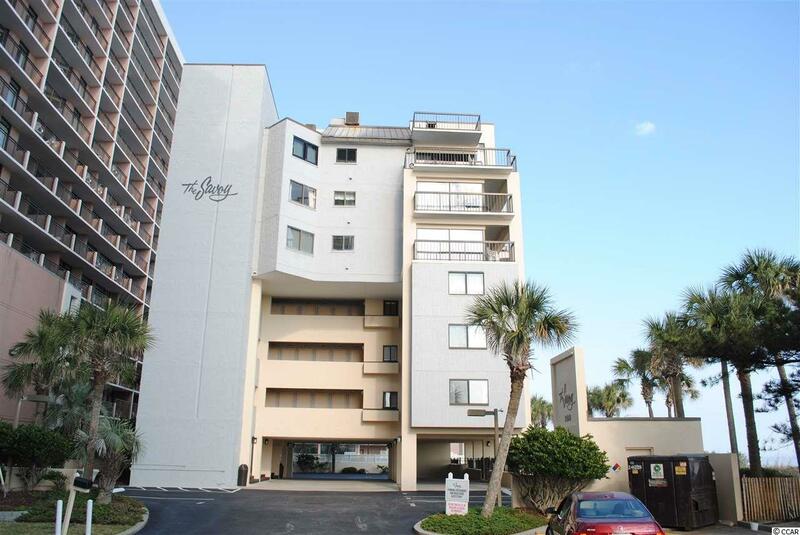 Highly desirable north end of Myrtle Beach. This Condo has it all. You must see it to believe all this Unit has to offer. Upgrade kitchen with solid surface Corian countertops, stainless still appliances, Bosch washer and dryer. Definite WOW factor when you enter this 3 bedrooms 2 baths direct oceanfront with balconys from living room and master bedroom with floor to ceiling windows. Wake up to direct ocean front view of the Ocean. 4th floor offers beautiful panoramic view of entire coastline. Upgraded unit needs nothing, fully furnished with built in washer and dryer. SAVOY is a distinctly high end property offering their own private lobby with security code access, elevator, private pool and designated parking place for each owner, just steps away from private lobby. Only 18 condos in this remarkable complex. Owners can enjoy their own slice of Heaven but also access to all Long Bay has to offer which includes, indoor/outdoor pool, Tiki bar, Starbucks, Restaurant, games/arcade, mini golf. RARE opportunity to own in this building, fully furnished. All information is deemed reliable but not guaranteed. Buyer is responsible for verification.